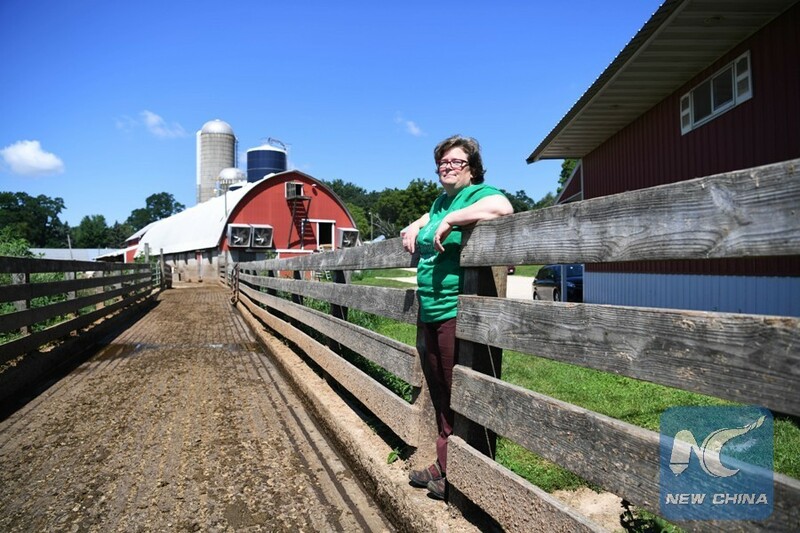 DENVER, the United States, Aug. 15 (Xinhua) -- American farmers, reeling from price drops and dissolving future markets, are hoping the 2018 Farm Bill will offer some relief from the U.S.-China trade frictions. "The U.S. exports approximately half of all the wheat U.S. farm businesses produce, and the potential loss of overseas markets resulting from responses to the (Trump) Administration's aggressive use of tariffs could have measurable adverse effects on wheat prices," national agriculture economist Vincent Smith told Xinhua Wednesday. 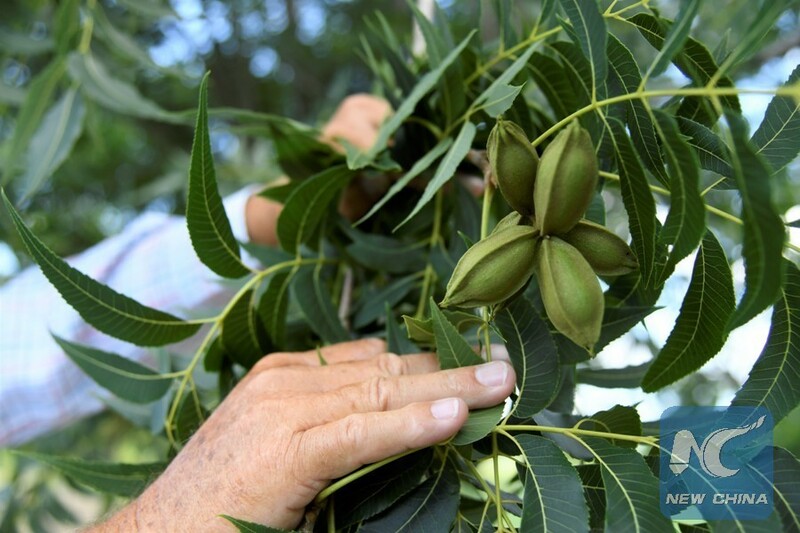 Across the board, agricultural commodities continued to struggle and fall, with soybean futures declining "overnight Wednesday as the trade spat between the U.S. and China shows no signs of abating," Successfulfarming.com reported. "Tariffs and stagnant global demand for commodities have left the agricultural economy in the worst shape we have seen since the farm crisis of the 1980s," American Farm Bureau Federation (AFBF) president Zippy DuVall said Monday. With unstable and inconsistent trade policy, increased output forecasts are predicting more dire outcomes across all American agriculture sectors. "A wave of farm closures" could occur by next spring, "unless there's a major improvement in the marketplace," said National Association of Wheat Growers (NAWG) President Jimmie Musick. "The administration's flip and rhetoric around the North American Free Trade Agreement (NAFTA) has made the United States appear to Canada and Mexico as an unreliable trading partner," he added, in a column published by CapitalPress.com last week. On Monday, the two largest farming groups in the United States, AFBF and the National Farmers Union (NFU), along with more than 150 other organizations, sent a letter to Washington asking the Senate and House agriculture committees to pass the upcoming 2018 Farm Bill. "Low farm prices due to international trade disruptions, commodity market oversupply, and domestic policy uncertainty is putting significant financial strain on farmers," said NFU President Roger Johnson in the letter. Why is this year's bill so important? In the face of complete volatility, the 2018 bill represents a symbol of sanity and stability for a field rocked and socked since the U.S.-China tariff battle two months ago. Every five years, Congress passes legislation that sets national agriculture, nutrition, conservation, and forestry policy, commonly referred to as the "Farm Bill." 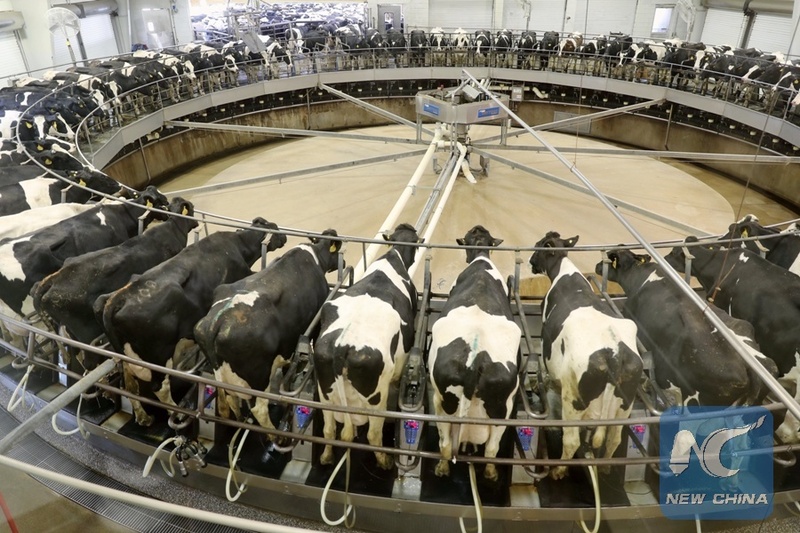 "We need this bill, especially at this time...it's critical," agriculture economist Anton Bekkerman told Xinhua. Industry insiders pray this year's legislation will offer needed consistency to a sector spiraling downward due to current U.S. trade policy. With the current Farm Bill expiring Sept. 30, agriculture leaders urged Congress to pass a bill that signals consistency to an economic sector already suffering from unpredictable administration policies. "The Farm Bill is important, but in some ways it's more symbolic -- that farmers and Congress can agree on policy," Washington policy analyst David B. Richardson said. "Hopefully the White House will listen to everybody in America who oppose the radical, destructive trade path currently devised by the President," he said. "Montana's farmers are not blaming China for the trade war, they're looking at the (Donald) Trump administration," Smith noted. What American farmers fear most is losing billions of U.S. dollars to countries not hampered by tariffs or involved in debilitating trade disputes. 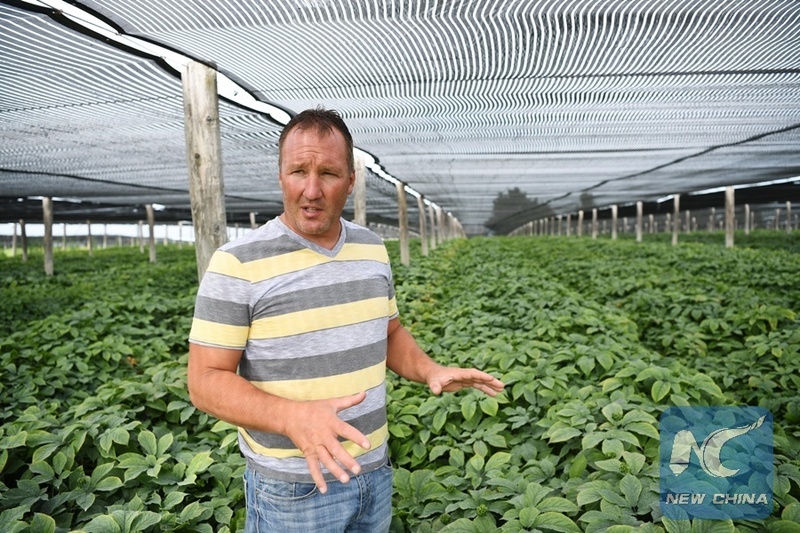 "Chinese importers will simply establish long-term trade relationships with suppliers outside of the United States," said Bekkerman, a Montana State University (MSU) professor. Bekkerman and other leading agro-economists say dialogue and negotiations are already underway between the world's biggest suppliers and consumers -- without U.S. involvement, participation, or profit. "The Administration needs to stop alienating our top trading partners and restore certainty to the agricultural marketplace as soon as possible, said Musick, a wheat farmer from Sentinel, Oklahoma. According to U.S. Department of Agriculture statistics released this week, the United States has exported 15.3 million metric tons of wheat so far in 2018 -- down 26.7 percent from 2017. "When the administration announced in March that it would impose sweeping tariffs on Chinese steel and aluminum imports, buyers were unable to accept the risk of escalating import prices and stopped making new purchases of U.S. wheat," Musick said in an opinion piece published on the agriculture website CapitalPress.com last week. Musick sees Japan, that currently imports half of its wheat from the United States -- as courting more reasonable, coherent, and stable suppliers and entertaining trade agreements with top U.S. competitors Canada and Australia. Japan, Mexico, and the Philippines are America's biggest wheat recipients, and exports to Japan are down 10.3 percent so far in 2018, recent agriculture department data shows. "The Australians are licking their chops," said Smith, a visiting scholar at the American Enterprise Institute and a 30-year tenured economics professor at Montana State University. With uncertainty over NAFTA, Canada, the world's No. 6 producer of wheat at 29 million metric tons, and Australia, No. 9, with 25 million metric tons, become top competitors for the United States (No. 4), according to WorldAtlas.com. It's U.S. President Donald Trump's overall trade tactics -- that include tariff battles with China, Canada, and the European Union (EU), withdrawal from the Trans-Pacific Partnership (TPP), and threat to withdraw from NAFTA -- that is creating global dissention on trading with America, industry insiders told Xinhua. "The President's goal, to create chaos and upheaval, and hope the cards fall in his favor, is a losing game that will pit the United States against the rest of the world," said Richardson. "The Trump trade policy has no direction," said Smith, "It is doing much more harm than good, especially in the long run, and it will be damaging to our trade relations with other countries into the foreseeable future."